Raaga.com: Now becoming a ‘Film Star’ in Bollywood is just a click away! Now becoming a ‘Film Star’ in Bollywood is just a click away! To become a ‘Film star’ is unarguably the most cherished dream of millions of Indian since time immemorial. However the path to stardom has always been arduous and despite talent many budding talents have been nipped in the bud. However thanks to ‘bombaycasting.com’, a new portal dedicated into launching fresh talents into Bollywood thing look rosy for aspiring actors dreaming of working in Bollywood. Bollywood top notch filmmakers like Karan Johar, PK director Rajkumar Hirani, Nikhil Adwani of Shah Rukh Khan hit film, KAL HO NAA HO, thought provoking film maker Hansal Mehta of hit films like CITYLIGHT and SHAHID and Siddharth Roy Kapur, Managing Director of Disney India have all lauded the launching of bombaycasting.com as one-stop casting shop for all characters in a film. Filmmaker Karan Johar, known for giving new talents opportunity, looked delighted at the concept of bombaycasting.com. He said, "New actors and new acting energies are the need of the hour. Bombaycasting.com is an ingenious way forward to source for new talent. I think every filmmaker must leverage this platform for the new age of making movie." Rajkumar Hirani applauding the initiative said, “Good casting is half the battle won for a director. We spend months searching across the country for the right face and talent. An online casting platform "Bombaycasting.com is a great solution. It opens up avenues for actors to reach directors and vice versa. I will definitely use it." What’s more the portal is absolutely free for both talent or for production houses, film-makers, event managers etc. 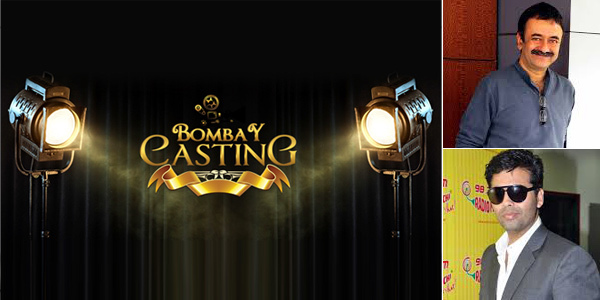 So if you are a budding actor what are you waiting for … submit your profile at bombaycasting.com and became a Star!! !